In June of 1918, the Spanish Flu began to spread throughout the world. By the end of 1919, just 18 months later, the virus had affected more than 1 in 4 people around the world, killing between 50 million and 100 million of those infected. At the time that was between 3% and 6% of the world’s population. It’s still one of the largest natural disasters to ever strike mankind. In 2009, the Swine Flu, a variant of the H1N1 virus that affected so much of the world 90 years before, once again was elevated to the world’s stage. This time the death toll was fortunately much lower, 18,000. The viruses behind both epidemics are transmitted from person to person largely through the airways. Coughing and sneezing projects the virus into the air and another person inhales it. People also caught it by touching surfaces where the virus was found and then touching their faces. Last year a similar virus made it to the silver screen. Contagion, the September 2011 movie staring Matt Damon, Lawrence Fishburne, and Gwyneth Paltrow, debuted in theaters around the country. In the movie, a very deadly virus rapidly spreads throughout the world. From Singapore to Chicago, millions of people contract the virus and their bodies are unable to cope with the disease. Over 20% of those infected succumb to the virus. Scientists struggle in vain to isolate the virus in laboratories and to find a vaccine that will inoculate the populace and hopefully save mankind. By the end of the movie, the virus has claimed the lives of over 26 million people world wide. Overall, the movie was well made, had an interesting storyline, and was worth watching in my opinion. Food Production. Monoculture farming practices, Confined Animal Feed Operation (CAFOs), and other food production practices that are prevalent in agriculture today are very conducive to contamination on a large scale. Whether it’s a drought or disease that affects the crop directly, or a combination of factors that compromise the supply chain some how, growers today have all of their eggs in just one basket. Mass Transportation. Though not quite the teleportation that many in the 1960’s believed we’d have by the 21st century, today’s mass transportation system allows people to move throughout the world faster than ever before. A person can wake up in Seattle and go to sleep in Paris within 12 hours. Most viruses have an incubation period longer than that so he could travel without knowing he’s infected. Science. Advancements in science and other technologies have been remarkable over the past 100 years. As a people, we’ve taken flight and have even gone to the moon. We’ve prevented millions of deaths through preventative vaccinations and post-symptom treatments. And unfortunately, in many cases, these strings of success has gone to our collective heads and we’ve developed a sort of arrogance. We’re taking science to places because we can and we’re not slowing down to consider whether it’s a good idea or not. Doomsday. There’s a growing element in society that is recognizing the need for prepping. Whether it’s a concern for the faltering economy, a fear of Coronal Mass Ejections (CME) causing a paralyzing ElectroMagnetic Pulse (EMP) event, or a belief that a pandemic will leave society in a non-functioning or militaristic state, people are beginning to prepare for an uncertain future. So what do you think? 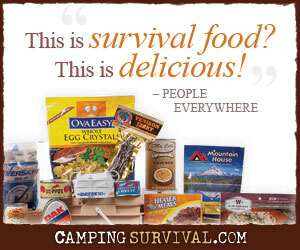 Do movies like Contagion help make non-preppers more aware of the need for prepping? Or are they viewed purely as entertainment? I think that movies like this have the effect of inoculation, giving people something to worry about, but then it is rationalized away as being a movie, and nothing in the movies is ever true! Too many people don’t pay attention to history, I would say a good portion of the people in the U.S. don’t even know the level of devastation that occurred in 1918-19. Would not the effect of these type of movies be more one of de-sensitization to the possiblity, comparable to the de-sensitization to violence in video games and movies? It enters the realm of it looks real but isn’t, so will not happen to me or effect me other than as entertainment. The initial reaction to any future reality will be altered and slowed. I’d tend to agree with you, Farmer and PoorMansPrepper.